300 hour yoga teacher training course by Rishikesh Yog Mandir provides the students access to a more deep study and practice of Yoga. Rishikesh Yog Mandir is the most reputed yoga institution for 300 hour yoga course in india. Our course curriculum has been designed to provide a detailed study of every minute aspect related to yoga. We receive a huge number of applications each year of yoga enthusiasts from different parts of the world having interest in pursuing a career in yoga. Moreover, we have a huge list of students who are very successful in the field of yoga at today’s date, after completion of study program from our institution. If you have already taken the training with the 200 hour yoga teacher training in Rishikesh then you might be aware of the benefit to opting for 300 hour yoga teacher training in Rishikesh. It is one of the intermediate advancement of yoga with proper discoveries. This works on the advanced features of Ashtanga and Hatha yoga that is an ancient form of yoga. After the completion of the 300 hour yoga ttc in Rishikesh, the pilgrim is qualified to have Yoga Alliance certificate of completion of course. It is to increase the knowledge and experience in terms of yoga advanced form. It is a course that is specifically designed by the experts. The supportive and warm environment is covered up by the community loving a yogic practice. A chance to have yogic experience at the birthplace of yoga. Residential facilities with the nature surrounding and engulfing pilgrims. Amenities covered up on the top of their level. Accommodation and food at affordable rates. Yoga Alliance Certificate with the Yoga Alliance USA. The 300 hour yoga ttc in India is a comprehensive way to connect with nature on a whole new level. We have developed the most strategic and authorized syllabus for 300 hour yoga ttc. Hatha Yoga School provides the most advanced yoga courses in Rishikesh in this category. Practical session consisting 60% of total hours. Theoretical session consisting 40% of Total hours. Section-2 Mudra, Bendha and Kriya. Section-3 Yoga Nidra Advanced level. Section-4 Traditional pranayama and meditation Sequences for spiritual development. Section-10 Yoga Sequence for Stress release. Rishikesh Yog Mandir organizes the 300 hour yoga teacher training course all year long and students can choose the suited time of the year to attend the same. 11:30 am – 12:30 pm Teaching practice in group. 03:00 pm – 04:00 pm Advanced Yoga Philosophy. 06:00 pm - 07:00 pm Yoga therapy. One of the most distinguishing parts about our institution is the small batch size we maintain for 300 hour yoga teacher training in Rishikesh India, despite the study involving a huge number of interested candidates. The 300 hour yoga ttc program at Rishikesh Yog Mandir is one of the best advance yoga courses in India. It lasts for six weeks. 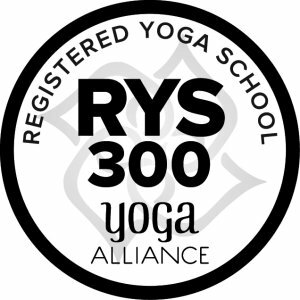 After completion of the course, a student is offered certification as per RYS 300, Yoga Alliance, USA. Anyone who has completed 200 hour yoga teacher training from a registered yoga school is eligible for this training program. There is an option for the students to change the batch. Rishikesh Yog Mandir is well known for the high-end features it provides for the students pursuing 300 hour yoga ttc. We provide the best facilities. Students are offered thoroughly maintained single rooms, with high-end facilities. Each room is provided with best quality beds, bed sheets, pillows, etc. The equipment like tables, chairs, etc. are also of the unmatched quality. Rishikesh Yog Mandir is a registered yoga school in Rishikesh for 300 hour yoga teacher training. 300 hour Yoga Teacher Training course in India is an advanced program for all the yoga enthusiasts who want to make a career in the glorious field of yoga. People who have completed 200 hour yoga teacher training are eligible to pursue this program. Where 200 hour yoga teacher training program is about the fundamentals or meant for beginners, 300 hour is certainly one level up. Here, the students are taught about higher principles of yoga and meditation and various philosophies. Through the program, a student can get to know about the infinite possibilities associated with yoga. A yoga professional, yoga teacher or anyone associated with yoga world is expected to be very much disciplined in real life. Hence, we encourage our students to maintain a proper lifestyle maintaining the ethics and principles. Therefore, our strategy always emphasizes on hard works. At the same time, we teach them on how to enjoy the life full of hard works. Students are taught about the core philosophy of reducing the cravings in life that kindles true bliss. A per son with lesser craving is indeed happier than others and can work much harder than others or serve more to the society. Students are taught about the value of meditation, breathing exercises, etc., in calming down the mind that lessens the cravings and increases the enthusiasm within. Also, our students are assigned homework daily that provides them with the scope to take insider’s dig at the studies. Single occupancy for accommodation purposes included in the course fee. Rishikesh Yog Mandir has provided me with intense insights into the world of yoga and meditation with the 300 hour yoga ttc in Rishikesh module. I always wanted to impart the purity of this ancient art to my students and for that I had to be perfect in the same. This training course helped me gain more control over my yogic poses. Being one of the most reputed names for the registered 300 hour yoga ttc in India, we are very much serious about the ethics. Each of our teachers is well trained from the Vedic Gurukuls, having true knowledge of the yoga principles. Needless is to say that they maintain the true ethics of this divine yoga study. We have been encouraging the students to maintain the perfect daily schedule. Hence, they have to maintain the Dinacharya or routine thoroughly, which is essential for a disciplined life. Moreover, the activities we include are also designed as per the specific season. To bring purity in mind and behavior, the students are here made to learn the principles of Vedic Achara Vichar principles. We teach the students and encourage them to follow the rules prescribed by the father of yoga, Maharshi Patanjali, on the responsibility of a person towards the society. They are also taught about how should be the personal behavior of a person towards the others. Students are taught about Patanjali Yama and Niyama sutras for a greater understanding on this. Moreover, we try to teach the students that the study of yoga should be made with an intention of service; rather than any greed or material gain. After all, the ultimate intention of this divine study is the self-enlightenment and to encourage people in the same path. On the whole, our study is meant to develop the personality that can be valuable for the self-development and that of the society. Our prime concern has been to develop the wisdom within the students that develops them as a much-enhanced personality in life. We strictly follow the authentic Vedic yoga principles. Rishikesh Yog Mandir knows the need to ease in daily life and has thus introduced the latest advancements in field of technology to ease your application process hassle. You can now easily apply from the official website of the institute or if you want you can directly apply at the school itself. The phone lines are open from morning 6 am to evening 8 pm so that future students can call to clarify any doubts regarding the course module. One can also email to clear any doubts. A yoga teacher needs to be physically fit and should not suffer from any major disease that can refrain him/her from practicing the art of yoga. The student should know the basics of yoga or should have undertaken the 200 hour yoga teacher training course. 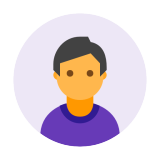 The communication skills held by the student should be crisp as well as impactful to ensure that the future students under the trainee do not feel hesitant from asking questions. The Rishikesh Yog Mandir follows strict rules and regulations when it comes to the art of yoga and yogic life style. If you want to enroll for this course, you need to be sure that you can handle the level of discipline as followed by the school. You should have a hard working attitude along with the enthusiasm of following the life of a simpleton. Rishikesh Yog Mandir is strict regarding the rules as it helps the students in gaining the full benefits of the course. You need to follow the early to bed and early to rise rule. No smoking or alcohol is permitted in the premises. No non-vegetarian food is allowed. At the end of each course, the students have to go through an examination which is the deciding factor for their eligibility to be a trained teacher with certificate by Rishikesh Yog Mandir. If you are unable to pass the examination, you shall be put on hold until you do so. 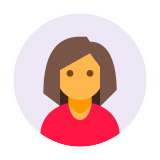 If you have made the payment for the course fees through PayPal, you are eligible for a refund if you make a request at least 30-90 days before the commencement of the course. No refund shall be given after the course begins. The certificates provided by the institute at the end of the course holds great value if you want to be a yoga teacher anywhere in the world. This certificated prove that you are an appropriate person with full training to teach the students. These particular certificates are certified by the Yoga Alliance USA.